My in-laws came to visit us a few days after Christmas. We had a fun week with them. While they were here my mother-in-law made this green drink everyday. She's been doing it for a number of years now, and I decided I wanted to try it. It looked yummy - lots of tasty things going in there. So I had her show me how to make it one morning. I was actually surprised how good it tasted. I mean there is a bunch of spinach (and baby chard and kale if you choose) in there, so I wondered what it would taste like with all that green). 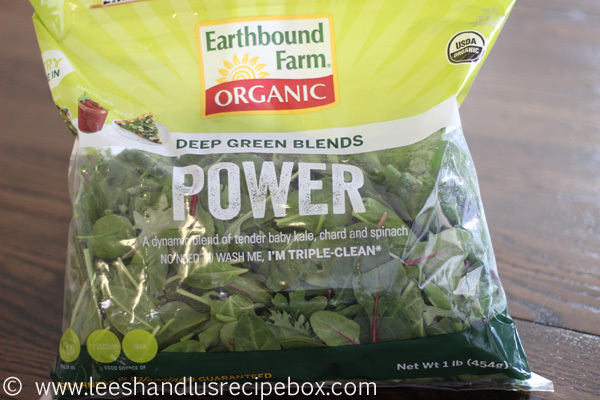 I've been buying an organic POWER green mix from my local grocery store (see picture below) for the green in the drink, you can also use just baby spinach and add in a small amount of kale too if you please. Amongst the greens in this drink, there is lemon, with most of the rind. 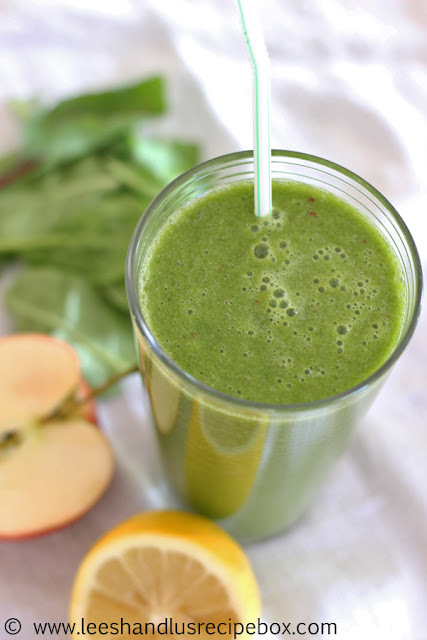 That is one of my favorite flavors that shines in this drink, it really makes it taste fresh and delicious - and less green than it would without it. There is also and apple, and some little bit of sweet fruit (peaches, grapes, mangos, bananas (whatever you want) to give it a little bit of sweetness). The slight amount of sweetness really makes this drink enjoyable to guzzle! A few other things added in here are water (enough to get the consistency you want) and chia seeds that are soaked over night. 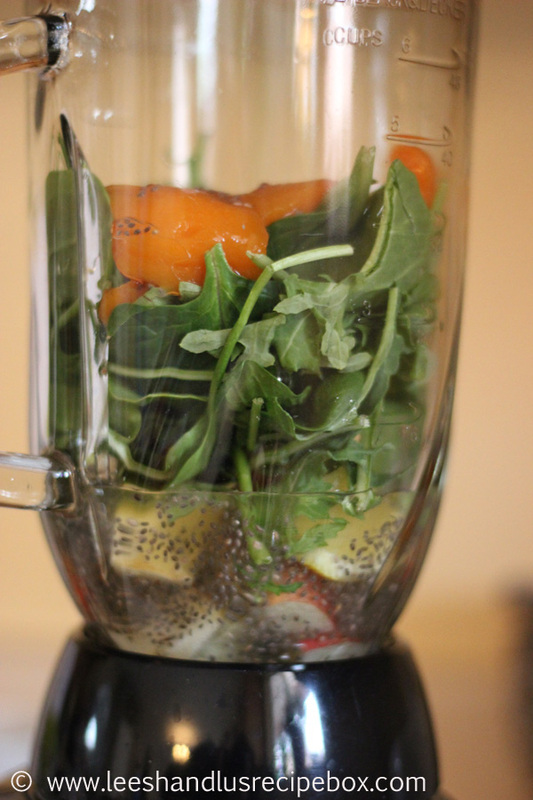 The chia seeds add even more nutrients to this already nutrient dense drink. I didn't really know too much about chia seeds before a few weeks ago when my mother-in-law gave me this recipe, besides that they are a health food rage right now. After looking into how full of good they are, I'm excited to use them more. I've had a really terrible rash on my hands that flares in and out (it's been going on for about 7 years), and after drinking this for a week, I've noticed a huge difference in it. Last week it was all flared up and blistery looking, itching like crazy too. And this week after I've had this drink 6 days in a row - I'm wondering if it's clearing up from all the nutrition packed in this drink. I haven't changed anything else as far as lotion, soap or other nutrition. I've been amazed! 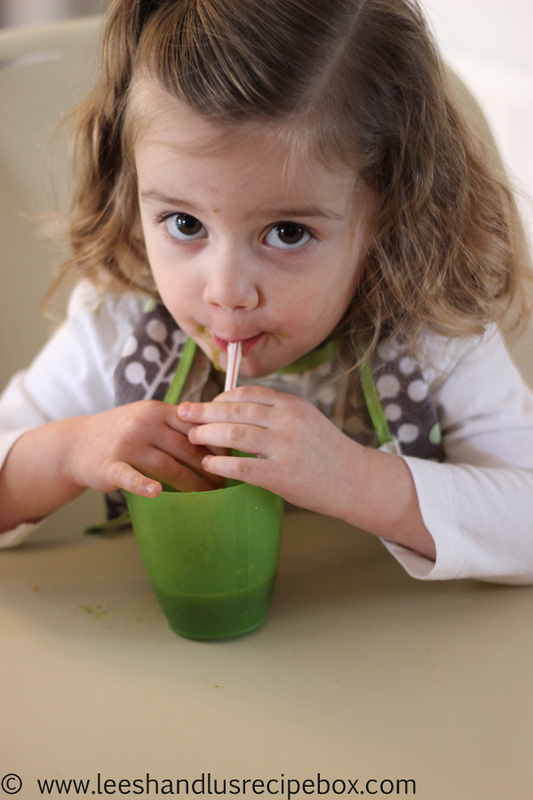 I also have been loving that my kids love to drink this too! This tells you that it really is enjoyable to drink. If it wasn't - I can assure you they'd come no where near it. But every time they see me pull out the blender they come asking for some. I feel so good when I'm drinking this and knowing my kids are too. It's packed with all sorts of good for our bodies! I hope you will enjoy this too! Recipe below. - For the lemon: you can remove as much or as little of the rind as you wish. The more you leave the more of a lemony taste you’ll have. 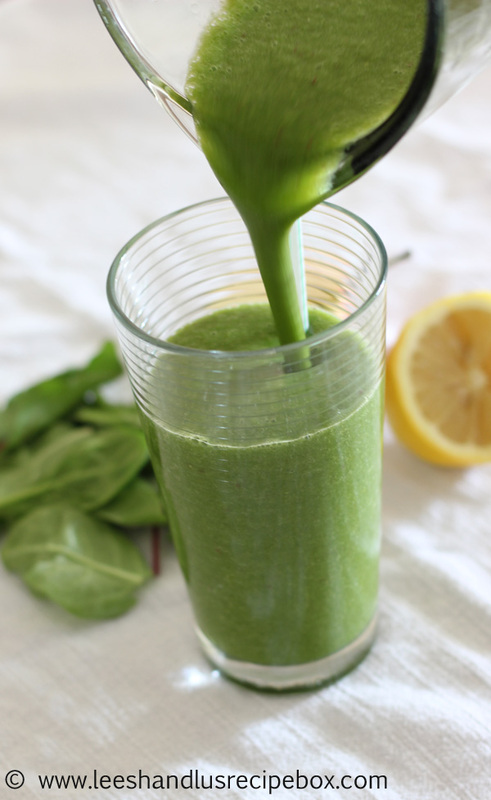 Also depending on how good your blender is, you may want to cut the lemon up into small pieces for smooth blending. -Save the lemon and the half of the apple in the same container to help the apple from browning, and use them again the next day. -You can buy a POWER green mix (like the blend pictured in the post) or use baby spinach. If you use baby spinach and want to add a little more nutrition add ½ of a kale leaf into the mixture. -If you don’t soak the chia seeds the night before they won’t blend quite as well and the soaking helps them break down in the blender more the next day (giving you more power to absorb all the nutrients). Place the chia seeds in a pint jar or other container and over with 1 cup of water. Soak overnight. 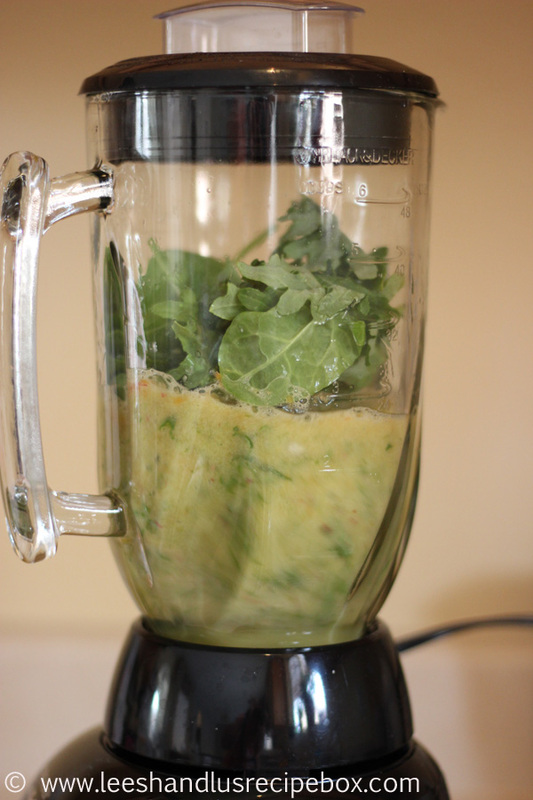 In the morning add the lemon, apple, greens, sweet fruit, chia seeds/water mixture, and optional kale. Blend 30-60 seconds until smooth. Add more water as needed to reach desired consistency. I like mine to be thinner - it’s more like a drink than a smoothie and easier to drink this way. From my mother-in-law, Maureen G.
Sounds so yummy and refreshing! Alex loves Hulk smoothies so I'll have to give this drink a try! Since I started taking Green drink for breakfast every day, I stopped craving meat, and actually became a vegetarian without consciously trying. I've lost 10 lbs also without trying, and have more energy than before I started using it. That's awesome! 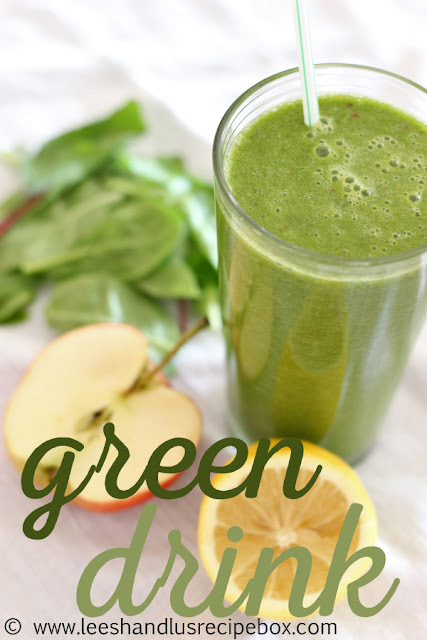 I've enjoyed my daily green drink a lot too! Thanks for stopping by.